Monday was a snow day for Brett and I, which meant we had a chance to sleep in and get some things done. It was really beautiful out. 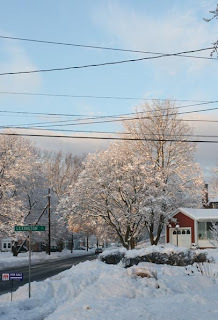 The photo below was taken the day after the storm, on Tuesday morning on my way to work. The light was really incredible. I would have loved to have taken photos all morning.